Welcome to our New Falcons! ​Visit their site for book suggestions in both English, y Español. Okay... But where can I get books to read? 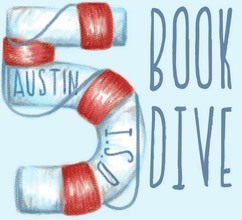 Visit the Austin Public Library this summer for teen programs, free wifi, free books, and friendly librarians! 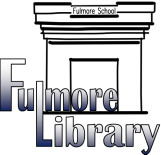 I hereby challenge every Fulmore student and teacher to read 40 books in a school year. 1. It would be really cool to be able to tell people you had. 2. You get to live other people's lives when you read fiction. 3. You get to learn new things when you read non-fiction. 4. You will inadvertently learn lots of new words - yes, even the grown-ups do. 5. You will improve your writing skills just by reading. 6. And, it would be really cool to be able to tell people you read 40 books in one school year. So, I will be updating my progress as we go on. We will discuss different ways to keep track of your progress. Don't lose your list it, since it will be your proof of your accomplishment! I envision a celebration at the end, even if you don't get all the way to 40 books, because, seriously, that is a lot of books! Students, when you see that the library doesn't have a book that you want, please complete the form and let me know! I will do the best I can to fill student book requests! Please tell me the series, title, author, etc. of the books you want!